With more than two decades of experience, Gogo is the leader in in-flight connectivity and wireless entertainment services for commercial and business fleets around the world. The company’s superior technologies, best-in-class service, and global reach help planes fly smarter, airlines partners perform better, and their passengers travel happier. Today, Gogo has partnerships with 16 commercial airlines and has installed in-flight connectivity technology on more than 2,900 commercial aircraft. Since Gogo offers services to a number of global airlines, they need to store, monitor, and process a lot of data about the speed and quality of their solutions. The engineers turn raw data into valuable insight into the performance of Gogo technologies. Thus the company can use these results to facilitate quick and continuous service improvements. Providing real-time support for numerous business operations to ensure the best service performance and business growth. Collecting and organizing data from various sources and presenting it to end-users in a lucid form, which would allow them to act on it and improve certain business areas. Gogo Inc. provides in-flight Internet to travellers, commercial and business aviation across the globe. Travellers may choose between different Wi-Fi passes and subscription plans to enjoy quality entertainment services and stay connected on their favourite airlines. Passengers can browse the web, check email, access corporate VPNs, enjoy the latest TV shows, breaking news, and stay connected during the flight. Commercial aviation may offer their passengers the best coverage and speed of the connection to deliver customizable experiences. Additionally, they may boost operations by accessing essential information and enhance customer service based on this data. More than 4,200 business aircraft are flying with the company’s solutions, including the world’s largest fractional ownership fleets. Gogo also is a factory option at every major business aircraft manufacturer. As a catalyst for advancing aviation, Gogo has created a number of technological solutions delivering the best aircraft connectivity and industry-leading Internet speeds. Gogo 2Ku is the next-generation in-flight connectivity solution. 2Ku provides peak antenna speeds of 70+ Mbps to the aircraft and even supports video streaming. 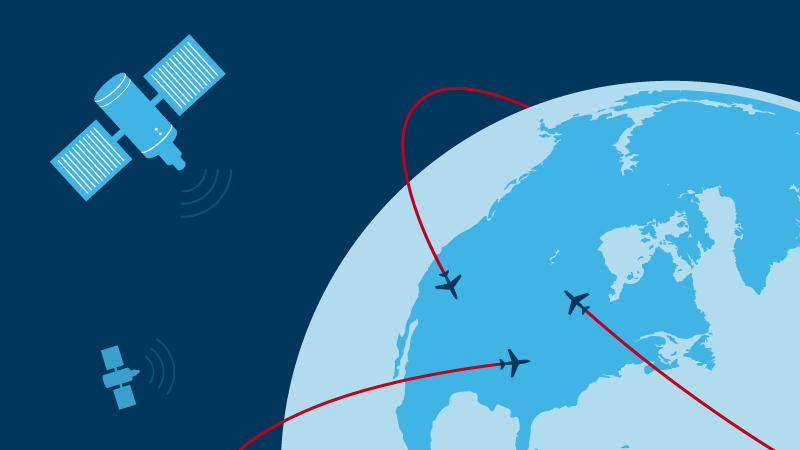 With the help of Ku-band satellites, Gogo Ku delivers high-bandwidth connectivity to aircraft around the globe. Its unique antenna design offers lower drag, which offsets any weight savings associated with more complex solutions. Gogo ATG4 is a cost-effective solution for aircraft flying in the continental U.S. It provides excellent data speeds.